In the 1990s, La Rioja Alta decided to try their luck in the Ribera del Duero, where terroir and microclimate meet to invite the utmost expression of the Tempranillo grape. They sought the best possible site following the advice of the Denomination's best growers and different academic experts. Also, La Rioja Alta studied and analysed the soil, grapes and weather of many different subzones. Anguix (Burgos) was finally selected as the ideal location and in 1991 they planted the vineyard on land that was purchased the previous year. 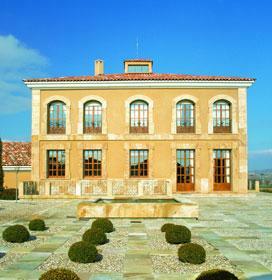 They chose to name this new venture Bodegas Aster after a Spanish flower that blooms at harvest.